In the house of Helios, god of the sun and mightiest of the Titans, a daughter is born. But Circe is a strange child--­not powerful, like her father, nor viciously alluring like her mother. Turning to the world of mortals for companionship, she discovers that she does possess power--­the power of witchcraft, which can transform rivals into monsters and menace the gods themselves. But there is danger, too, for a woman who stands alone, and Circe unwittingly draws the wrath of both men and gods, ultimately finding herself pitted against one of the most terrifying and vengeful of the Olympians. To protect what she loves most, Circe must summon all her strength and choose, once and for all, . . . 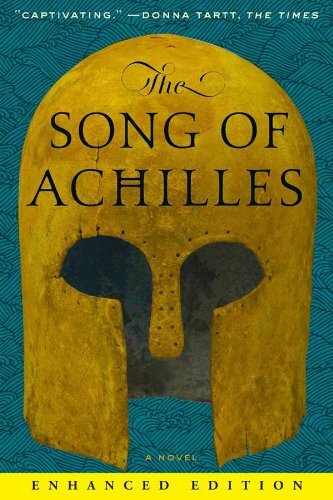 Enter the world of Homer's ancient Greece with the enhanced e-­book edition of The Song of Achilles . This edition lets you further engage with this compelling story through video interviews with Madeline Miller and Gregory Maguire, bestselling author of the Wicked series, clips from the audio book at the start of each chapter, an illustrated map, and a pop-­up gallery featuring over 40 images and descriptions of the characters, armor, and ships found in the book. Greece in the age of heroes. Patroclus, an awkward young prince, has been exiled to the kingdom of Phthia to be raised in the shadow of King Peleus and his golden son, Achilles. "The best of all the Greeks"—strong, beautiful, and the child of a goddess—Achilles is everything the shamed Patroclus is not. Yet despite their differences, the boys become steadfast companions. Their bond deepens as they grow into young men and become skilled in the arts of war and medicine—much to the displeasure and the . . . In Ancient Greece, a skilled marble sculptor has been blessed by a goddess who has given his masterpiece – the most beautiful woman the town has ever seen – the gift of life. Now his wife, Galatea is expected to be obedience and humility personified, but it is not long before she learns to use her beauty as a form of manipulation. In a desperate bid by her obsessive husband to keep her under control, she is locked away under the constant supervision of doctors and nurses. But with a daughter to rescue, she is determined to break free, whatever the cost...­Pygmalion's story has moved millions through the centuries, inspiring George Bernard Shaw's Pygmalion, and later the beloved musical My Fair Lady. Ecco is proud to publish Orange Prize-­winning author Madeline Miller’s E-­book original short story Galatea which will appear in the forthcoming anthology xo Orpheus: Fifty New Myths to be published in October. This retelling of the Pygmalion myth from the statue’s perspective is a . . .
Patrocle, jeune prince maladroit, part en exil à la cour du roi Pélé. Il y rencontre Achille, son exact contraire, doué pour tout ce qu'il entreprend. Malgré leurs différences, les deux jeunes hommes deviennent inséparables. Le destin les mènent à la guerre de Troie. La violence des Dieux et des hommes fera de leur histoire un drame. 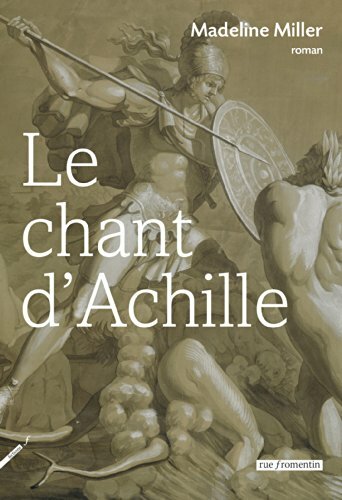 Madeline Miller, professeur de grec ancien et spécialiste de Shakespeare, revisite L'Iliade pour en tirer un grand roman d'apprentissage et une poignante tragédie amoureuse. Dimenticate Troia, gli scenari di guerra, i duelli, il sangue, la morte. Dimenticate la violenza e le stragi, la crudeltà e l'orrore. E seguite invece il cammino di due giovani, amici prima e poi amanti e infine anche compagni d'arme - due giovani splendidi per gioventù e bellezza, destinati a concludere la loro vita sulla pianura troiana e a rimanere uniti per sempre con le ceneri mischiate in una sola, preziosissima urna. 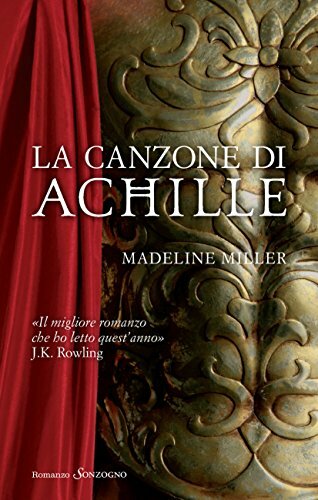 Madeline Miller, studiosa e docente di antichità classica, a cui la dottrina non ha limitato o spento la fantasia creatrice, rievoca la storia d'amore e di morte di Achille e Patroclo, piegando il ritmo solenne dell'epica alla ricostruzione di una vicenda che ha lasciato scarse ma inconfondibili tracce: un legame tra uomini spogliato da ogni morbosità e restituito alla naturalezza con cui i Greci antichi riconobbero e accettarono l'omossessualità. Patroclo muore al posto di Achille, per Achille, e Achille non vuole più vivere senza Patroclo. Sulle mura di . . .
Dioses, héroes y hombres en un mundo aparentemente gobernado por el Destino. La más grande epopeya de nuestra civilización sigue presente hoy más que nunca. El joven príncipe Patroclo mata por accidente a un muchacho. Repudiado por su padre, es exiliado al reino de Ftía, donde lo acoge el rey Peleo, un hombre bendecido por los dioses, inteligente, apuesto, valiente y reconocido por su piedad. Tanto que se le concedió el más alto honor, la posibilidad de engendrar un hijo con una diosa: Aquiles. Aquiles es fuerte, noble, luminoso. 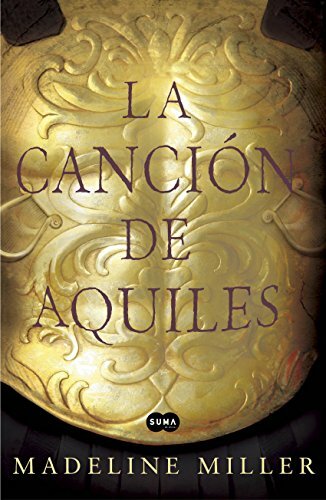 Patroclo no puede evitar admirar hasta el último de sus gestos; su belleza y perfección hacen que sea incapaz de contemplarlo sin una punzada de dolor. Por eso no se explica que Aquiles lo escoja como hermano de armas, un puesto de la más alta estima que lo unirá a él por lazos de sangre y lealtad, pero también de amor. Así emprenden juntos el camino de la vida, compartiendo cada instante, cada experiencia, cada aprendizaje y preparándose para el . . .